Draft: 2006, Toronto Blue Jays, 1st rd. Travis James Snider...Is a 2006 graduate of Jackson (WA) High School, where he led his team to a 27-0 record and state championship as a senior...Was named the Top Baseball Player in the State by Gatorade...Hit .500 with a school record 11 homers and 45 RBI as a senior...Also played running back and linebacker during his high school career...Was ranked by Baseball America as the fourth best high school player heading into the 2006 draft...Was a personal hitting coach for kids ages 9-to-16 while in high school...During his final year of high school, he was put in charge of running practices and worked with the other 15 plus members of his team three times a week. Spent first entire full season in the Majors...Established career highs in games played, runs, hits and RBI...Made 64 appearances (47 starts) in right field and 36 appearances (23 starts) in left field...Produced a higher average against LHP (.381) over RHP (.246) for the second time in his career (also 2012; .364 vs. LHP/.221 vs. RHP)...Went 13-for-52 (.250) with two home runs and eight RBI as a pinch hitter; homered on April 10 at Chicago (NL) and July 27 at Colorado...Was Pittsburgh's Opening Day starter in right field and started 13 of the first 15 games at that position...Was ejected for his role in bench-clearing incident vs. Milwaukee on April 20 and received a two-game suspension...Served his two-game suspension on May 9-10...Committed lone error (fielding) while playing right field on May 18 at New York (game two); finished season with a 65-game errorless streak in the outfield...Made his first career pitching appearance on June 18 vs. Cincinnati (IP, H, 2ER, 2BB, K) - struck out Joey Votto swinging to end the inning...Batted .439 (18-for-41) with three home runs and seven RBI during season-high 11-game hitting streak from August 10-20...Left game on August 27 vs. St. Louis with left hamstring tightness after beating out a bunt in the third inning...Made the start in right field in the Wild Card Game vs. San Francisco at PNC Park on October 1 and went 0-for-2. 2013 SEASON: Made 79 appearances (49 starts) in right field and five appearances (four starts) in left field in his first full season with the Pirates...Was the club's most-used pinch hitter, going 9-for-44 (.205) with two walks, a double, three home runs and seven RBI (the three pinch-hit home runs were the most by a Pittsburgh player since Jeromy Burnitz hit three in 2006)...Was a member of Pittsburgh's Opening Day roster...Hit .429 (12-for-28) during a season-high, eight-game hitting streak from 4/12-21, raising average from .214 to .357...Was scratched from the starting lineup prior to the game on 4/27 due to discomfort in his right side and missed the next three games...Struck out as a pinch hitter on 4/30 at Milwaukee...Hit .300 (18-for-68) in 23 games during the month of April; .189 (38-for-201) from 5/1 thru the end of the season...Came off the bench on 5/1 at Milwaukee and went 1-for-2 while playing final two innings in right field...Had three hits and three RBI while hitting his first home run of the season on 5/16 vs. Milwaukee; his 458' blast bounced and rolled into the Allegheny River...Also stole his first base on 5/16...Hit first career grand slam on 5/21 vs. Chicago off Shawn Camp; was also his first career pinch-hit homer and the first pinch-hit grand slam by a Bucco since Jason Michaels on 6/2/08 at St. Louis (16th pinch hit grand slam in club history)...Recorded his third career triple on 5/23 vs. Chicago...Tripled again while going 3-for-5 at Detroit on 5/27...Delivered a walkoff single in Pittsburgh's 5-4, 11-inning win on 6/2 vs. Cincinnati...Hit a game-tying home run in the ninth inning off Kenley Jansen of the Dodgers on 6/15 at PNC Park...Reached base safely in 11 straight starts from 6/11 thru 7/2...Went 5-for-32 (.156) with one RBI (7/20) in 20 games (four starts) in July...Was placed on the 15-day disabled list on 7/28 due to discomfort in his left big toe...Began rehab assignment with Double-A Altoona on 8/19...Was transferred to Triple-A Indianapolis on 8/22...Was recalled from rehab assignment and reinstated from D.L. on 9/1...Went 3-for-14 as a pinch hitter and 0-for-5 in one start (RF on 9/29 at Cincinnati) after returning from the disabled list...Had surgery on his left big toe performed on 10/28 in Seattle. 2013 POSTSEASON: Struck out as a pinch hitter in his lone at bat in the Wild Card Game vs. Cincinnati at PNC Park on 10/1...Was not on the active roster for the Division Series against St. Louis. Hit .250 (41-for-164) with seven doubles, one triple, four home runs and 17 RBI in 60 Major League games between Toronto and Pittsburgh...Began season with Las Vegas (Blue Jays' AAA)...Hit safely in each of his first 18 games, going 30-for-74 (.405) with 10 doubles, four home runs, 23 RBI and 15 runs scored (was the seventh-highest batting average in all of minor league baseball during that time)...Knocked in a run in each of his first nine games (16 RBI total)...Went 4-for-5 with a double, home run, five RBI and three runs scored on 4/13 at Colorado Springs...Was placed on the disabled list on 4/27 with a sprained right wrist...Was reinstated from the disabled list on 5/9, played in seven games, and was placed back on the D.L. with the same injury on 5/18...Was reinstated from the disabled list on 6/9 and transferred to Single-A Dunedin...Played in five games for Dunedin before being transferred back to Las Vegas on 6/16...Homered in three straight games from 6/19-21...Went 4-for-5 with a double, two home runs and a season-high six RBI on 7/18 vs. Fresno...Also went deep in his final game with Las Vegas on 7/19...Hit .352 (19-for-54) with three doubles, five home runs and 14 RBI in 16 games in July for the 51s and .462 (12-for-26) following the Pacific Coast League All-Star break...Was recalled by Toronto on 7/20 and hit safely in each of his first four games...Went 1-for-3 with a double and run scored in first game with the Jays on 7/20 at Boston...Homered in back-to-back games on 7/22 and 7/24; the first time he homered in back-to-back games since doing so in three straight games from 9/28-30, 2010...Was acquired by Pittsburgh on 7/31; played game with Toronto in Seattle on 7/30 and flew to Chicago to join the Pirates the next day and went 1-for-4 as a starter in right field that night...Left the game on 8/1 with tightness in right hamstring, but did not miss any games...Had season-high three hits on 8/7 vs. Arizona...Hit lone home run with Pittsburgh on 8/10, connecting off San Diego's Edinson Volquez at PNC Park...Hit .321 (17-for-53) in his first 19 games with the Pirates thru 8/19...Struck out four times in four at bats on 8/20 at San Diego...Recorded his last multi-hit game and tallied lone triple on 8/28 vs. St. Louis...Hit .156 (7-for-45) in his final 22 games, beginning on 8/31...Left the game on 9/4 vs. Houston with discomfort in his right hamstring...Missed the next four games and then went hitless in four at bats as a pinch hitter from 9/10-14 before returning to starting lineup on 9/15 at Chicago...Made spectacular catch in New York on 9/27; scaled right field wall to rob Mike Baxter of a home run in the second inning...Made 33 appearances (29 starts) in right field and five appearances (two starts) in left field while playing with Pittsburgh...Did not commit an error and had one assist; from right field on 8/8 vs. Arizona...Hit .313 (21-for-67) with a homer and seven RBI in 26 games at PNC Park. Began the season on the Opening Day roster... 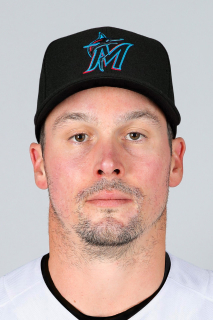 Appeared in 49 games with the Blue Jays and 61 games for Las Vegas (AAA)... A TOUGH APRIL: Appeared in 25 games in April batting only .184 with four doubles and one home run prior to being optioned to Las Vegas on April 28... Remained in Las Vegas until July 4 when he was recalled... Batted .333 prior to his July recall with 21 doubles, two triples and two home runs to go along with 21 walks... GOOD TO BE BACK: Returnedto the Blue Jays on July 4 at BOS, recording a 3-5 day, with all three hits being doubles... In his first 11 games back, posted a .391 average with nine doubles, one home run and 12 RBI... Posted multi-hit efforts in six of the 11 games, including two, three-hit games, matching a career high (13th time)... July 8 at CLE recorded five RBI which was a career high (2nd time)... Overhis final 13 games batted only .148 (8-54) with one double and one home run... BACK TO VEGAS: Was optioned to Las Vegas on Aug. 5... Played 12 games in August at Las Vegas, posting .298 average with two home runs... AN EARLY END: Was shut down for the season on Aug. 21 due to tendonitis in his right wrist... Finished the season going 0-17... TAKES CARE OF THE D: Started 46 games for the Blue Jays in the outfield, starting 39 games in left field, four in centerfield and three in right field... Recorded four assists, which was second on the club despite playing in only 48 games in the outfield. Appeared in 82 games this season with the Blue Jays and set career highs in most offensive categories... CAREER YEAR: Set career highs in games (82), at-bats (298), runs (36), hits (76), doubles (20), home runs (14), runs batted in (32) and stolen bases (6)... Had a career high 12 game hitting streak from Sept. 14-30 where he hit .373 (19-51)with two doubles, five home runs and eight runs batted in... START ME UP: Hit the first lead-off home of his career Sept.29 vs. NYY... Hit out of the lead-off spot 19 times this season batting .230 (20-87) with two doubles, five home runs andeight runs batted in... DOUBLE-DOUBLE: On Aug. 2 at NYY became the 3rd player in Club history to hit two doubles inthe same inning (Otto Velez and Dave McKay did it in the same inning on Jun. 26/78 vs. BAL -2nd inn) and was the firstBlue Jay to have two hits in the same inning since Rod Barajas on Apr. 16/09 at MIN (7th inn)... NICE RUN: Sept. 28-30homered in three consecutive contests...Finished with home runs in four of his last seven games... ON THE SHELF: Wasplaced on the disabled list on May 15 with a right wrist injury, after his rehab assignment was optioned to New Hampshire(AA) July 6 and remained there until his recall July 30. Played in 77 games over two separate stints with the Blue Jays in his rookie season... ROOKIE RANKING: Despite playing in only 77 games, ranked T-6th among rookies with nine home runs, 9th in doubles (14) & 6th in walks (29)... ALL OR NOTHING: Walked once every 9.52 plate appearances to rank 5th on the club, however he struckout once every 3.54 plate appearances, highest on the club & 9th highest in the AL (min 275 PA)... FIRST GO AROUND:Broke spring training with club, and appeared in 32 games prior to being optioned to Las Vegas (AAA) on May 21... Batted.242 over that span with three home runs and 12 RBI & a .292 on base percentage... I'M BACK: Was recalled on Aug.13 for the remainder of the season... Posted a .239 batting average, adding six home runs and driving in 17, while seeinghis OBP raised .58 points to .351 from his initial 32 games prior to the all-star break... BIG FINISH: Batted .311 over hisfinal 13 games, adding five extra base hits and a .407 on base percentage... SWING EARLY: When swinging at the firstpitch, batted .373 (19-51) with four home runs, however when batting with two strikes, batted only .096 (11-114)... BIGDAYS: Enjoyed two multi-home run games, first on April 13 at MIN & then Sept. 15 at NYY... Had three RBI in each of thosegames for season highs... MINORS: Appeared in 48 games for Las Vegas of the Pacific Coast league (AAA), posting a.337 average with 14 home runs and 40 RBI... His OPS of 1.094 was the highest on the club. Was the recipient of the R. Howard Webster Award with Pulaski... Was named as the Appalachian League's Player of the Year & was named to the league's year-end All-Star team... Led the league with a .567 SLG, ranked 2nd in HR (11), 4th in BA (.325), 4th in OBP (.412) & 5th in RBI (41)... Named as a Blue Jays Minor League Star of the Month in July (.312,5HR, 24RBI)... Was named the Appalachian League Player of the Week in back to back weeks (Aug. 7 & 14)... ToppedBaseball America's year end ranking of the top 20 prospects in the Appalachian League & was named as a classificationAll-Star by the magazine. April 5, 2019 LF Travis Snider assigned to Reno Aces. February 24, 2019 LF Travis Snider assigned to Arizona Diamondbacks. November 6, 2017 LF Travis Snider elected free agency. August 15, 2017 Texas Rangers traded RF Travis Snider to New York Mets for cash. August 15, 2017 LF Travis Snider assigned to Las Vegas 51s. January 6, 2017 Texas Rangers signed free agent RF Travis Snider to a minor league contract and invited him to spring training. January 6, 2017 RF Travis Snider assigned to Round Rock Express. July 31, 2016 Omaha Storm Chasers released RF Travis Snider. April 2, 2016 RF Travis Snider assigned to Omaha Storm Chasers. April 1, 2016 Kansas City Royals signed free agent RF Travis Snider to a minor league contract. March 30, 2016 Kansas City Royals released RF Travis Snider. February 16, 2016 RF Travis Snider assigned to Omaha Storm Chasers. January 30, 2016 Kansas City Royals signed free agent RF Travis Snider to a minor league contract and invited him to spring training. October 22, 2015 RF Travis Snider elected free agency. September 1, 2015 Pittsburgh Pirates selected the contract of RF Travis Snider from Indianapolis Indians. August 20, 2015 Pittsburgh Pirates signed free agent RF Travis Snider to a minor league contract. August 20, 2015 RF Travis Snider assigned to Indianapolis Indians. August 15, 2015 Baltimore Orioles released LF Travis Snider. August 7, 2015 Baltimore Orioles designated LF Travis Snider for assignment. January 27, 2015 Pittsburgh Pirates traded LF Travis Snider to Baltimore Orioles for LHP Stephen Tarpley and Player To Be Named Later. October 12, 2013 Pittsburgh Pirates activated RF Travis Snider. October 3, 2013 Pittsburgh Pirates reassigned RF Travis Snider to the minor leagues. September 1, 2013 Pittsburgh Pirates activated RF Travis Snider from the 15-day disabled list. August 22, 2013 Pittsburgh Pirates sent RF Travis Snider on a rehab assignment to Indianapolis Indians. August 19, 2013 Pittsburgh Pirates sent RF Travis Snider on a rehab assignment to Altoona Curve. July 28, 2013 Pittsburgh Pirates placed RF Travis Snider on the 15-day disabled list. Discomfort in left big toe. July 31, 2012 Toronto Blue Jays traded RF Travis Snider to Pittsburgh Pirates for RHP Brad Lincoln. July 20, 2012 Toronto Blue Jays recalled Travis Snider from Las Vegas 51s. June 16, 2012 Travis Snider assigned to Las Vegas 51s from Dunedin Blue Jays. June 9, 2012 Travis Snider assigned to Dunedin Blue Jays from Las Vegas 51s. June 8, 2012 Travis Snider assigned to Dunedin Blue Jays. May 21, 2012 Travis Snider roster status changed by Las Vegas 51s. May 9, 2012 Las Vegas 51s activated RF Travis Snider from the 7-day disabled list. May 2, 2012 Las Vegas 51s placed RF Travis Snider on the 7-day disabled list. March 25, 2012 Toronto Blue Jays optioned RF Travis Snider to Las Vegas 51s. September 29, 2011 Travis Snider roster status changed by Toronto Blue Jays. August 26, 2011 Las Vegas 51s placed RF Travis Snider on the 7-day disabled list. August 5, 2011 Toronto Blue Jays optioned Travis Snider to Las Vegas 51s. July 4, 2011 Toronto Blue Jays recalled Travis Snider from Las Vegas 51s. June 30, 2011 Travis Snider roster status changed by Las Vegas 51s. June 18, 2011 Las Vegas 51s placed RF Travis Snider on the 7-day disabled list. April 29, 2011 Toronto Blue Jays optioned RF Travis Snider to Las Vegas 51s. July 30, 2010 Toronto Blue Jays recalled RF Travis Snider from New Hampshire Fisher Cats. July 17, 2010 Toronto Blue Jays optioned Travis Snider to New Hampshire Fisher Cats. July 6, 2010 Dunedin Blue Jays sent LF Travis Snider on a rehab assignment to New Hampshire Fisher Cats. July 4, 2010 GCL Blue Jays sent LF Travis Snider on a rehab assignment to Dunedin Blue Jays. June 30, 2010 Travis Snider assigned to GCL Blue Jays. May 17, 2010 Travis Snider roster status changed by Toronto Blue Jays. August 18, 2009 Toronto Blue Jays recalled Travis Snider from Las Vegas 51s. July 2, 2009 Travis Snider roster status changed by Las Vegas 51s. June 4, 2009 Las Vegas 51s placed LF Travis Snider on the 7-day disabled list retroactive to June 2, 2009. May 22, 2009 Toronto Blue Jays optioned LF Travis Snider to Las Vegas 51s.